G.S & P.A Reeves of Wem are one of the largest timber merchants in the county and have chosen to partner with one of the leading manufacturers to provide a fast efficient delivery network of wood pellets across the UK. The demand to move away from fossil fuels has generated significant advances in the design and manufacture of efficient boilers that are fuelled by wooden pellets to generate heat. These automated and highly efficient boilers have increased in popularity due to the use of this low carbon fuel. Wood pellets are manufactured from sawdust in manufacturing processes and carefully managed woodlands and forests providing a better environment for these woodlands to thrive. 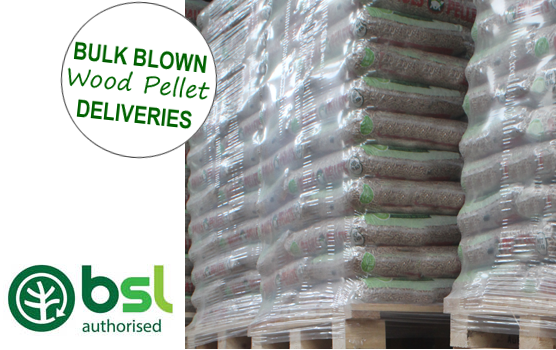 Wood Pellets provide a sustainable fuel, low carbon, highly combustible – ideal for heating in domestic, commercial and industrial facilities. G.S & P.A Reeves of Wem - one of the UK's leading distributors and retailers of wood pellets as a sustainable source of fuel. Contact Reeves for Prompt Delivery and Competitive Prices of Sustainable Wood Pellet Fuel.